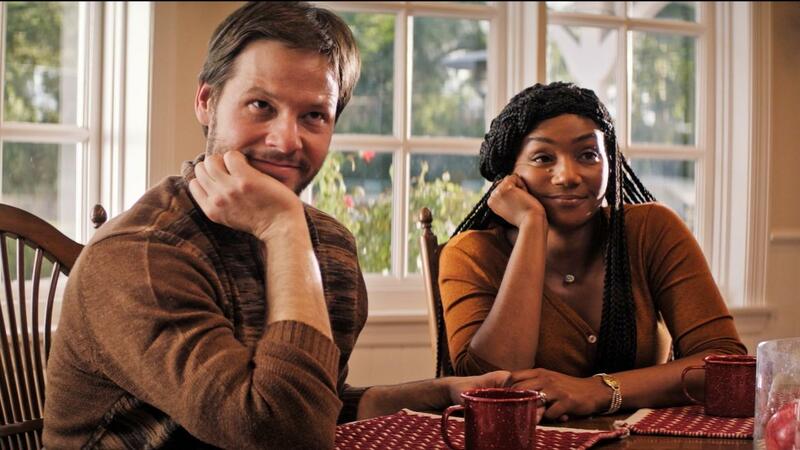 "DO go on": Ike Barinholtz and Tiffany Haddish star in The Oath. The second Civil War will be fought over Thanksgiving. 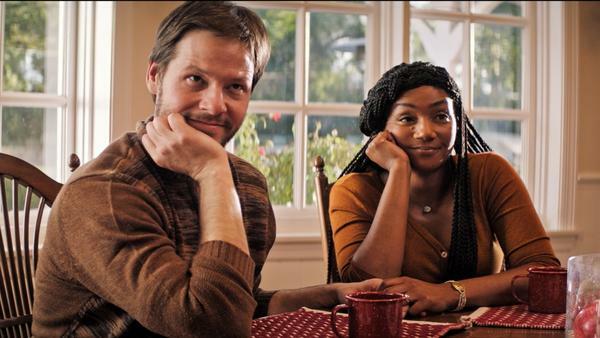 That's the devilish concept at the heart of The Oath, the new dark comedy from Ike Barinholtz that imagines families tearing at each other's throats over the latest machinations of the U.S. government. It doesn't have to imagine too hard. Written and filmed in a white-hot rage over the last year, The Oath barely bothers to mask the inspiration for its dystopia. The film's chief fantastical ingredient is a Stalinist "loyalty oath" to the country that federal officials have strongly encouraged every American to sign by Black Friday, but most of the biggest scenes of familial conflict don't even get around to it. This household has enough real-world disagreements to fight over already, and no oath will ever be violated as blithely as the one to keep politics away from the dinner table. Barinholtz writes, directs, produces and stars as suburban dad Chris, who's a barely exaggerated version of Barinholtz himself: a sanctimonious, pedantic, cable news-addicted liberal with a white-savior complex the size of Mt. Kilimanjaro. If that sounds harsh, rest assured Barinholtz is in on the joke. The brash comedy ringer from the likes of The Mindy Project and this year's Blockers steps outside his Twitter feed to make his character the most obnoxious person in the room, no easy task in a cast populated with paramilitary psychopaths and torch-bearers for fascism. Chris's wife Kai (the red-hot Tiffany Haddish, who also exec-produces but doesn't give herself much to do) lets his family roll off her back. But Chris is incapable of doing the same, and over the course of a Thanksgiving weekend at his house he will lecture his siblings (Carrie Brownstein and real-life brother Jon Barinholtz), parents (Nora Dunn and Chris Ellis) and even Kai on their unforgivable moral sins. Chris has no sense of proportion, so referring to an Asian-American man as "Chinese" gets the same verbal tongue-lashing as waving off the government opening fire on protestors. Chris's chief ideological competition is his brother's girlfriend Abbie (a perfectly icy Meredith Hagner), a right-wing Internet troll who delights in targeting "haters and losers" and thinks Chris Rock is a racist. Their fights ring with the familiar bells of online insults: "I'd love to see your source for that!" "So anyone who doesn't agree with you is a racist?" Most of this movie would work as a radio play – and might actually have worked better that way, so we couldn't get as sick of seeing the same two rooms for 90 minutes. After one particularly seismic showdown, Chris finally faces the opponents he's been warning of, or maybe waiting for, all along: extrajudicial government forces (John Cho and Billy Magnussen) who enter his home to make sure he's not "impeding a private citizen's choice to sign the Oath." But it's one thing to scream at your family, and it's another to try to wield brute force against armed agents of the state. How can the morally righteous intimidate the morally bankrupt? As a film, The Oath can be sloppy: It's filled with unnecessary characters; shrugs off talents like Haddish, Cho and Brownstein; and sets up conflicts that never truly pay off. But it's tapping into two primal strands of fear and loathing in America right now. One is the sense that we're all living in a powder keg, ready to burst into spasms of violence at any moment: Early, chilling scenes depict an incident of road rage that becomes a near-bloodbath for no reason, and a white man ordering people of color at a restaurant to "feel grateful that you live in this country." And the other is the deep sense of alienation a lot of people feel when they see just how far they've drifted away ideologically from their own flesh and blood. How could such divergent views of the world have originated under the same roof? Barinholtz recognizes this terrifying rift, and plays it for plenty of cringe-induced laughter. But his film's biggest disappointment is that it doesn't want to get too near the beating, bloody heart of political division. News junkies tend to filter politics through the course of human events: They wait for things to happen, and react only to the latest developments. After too much of this, we run the risk of ignoring the existence of human belief: deeply held convictions about what's right and wrong that undergird our ability to make political judgments in the present day. The events make the headlines, but the beliefs are where our true capacity for change lives. The Oath wants to interrogate belief, but as a third-act deus ex machina proves, it's only thinking about events. Its biggest joke might be the idea that politics alone can start and stop human evil, or heal a family.